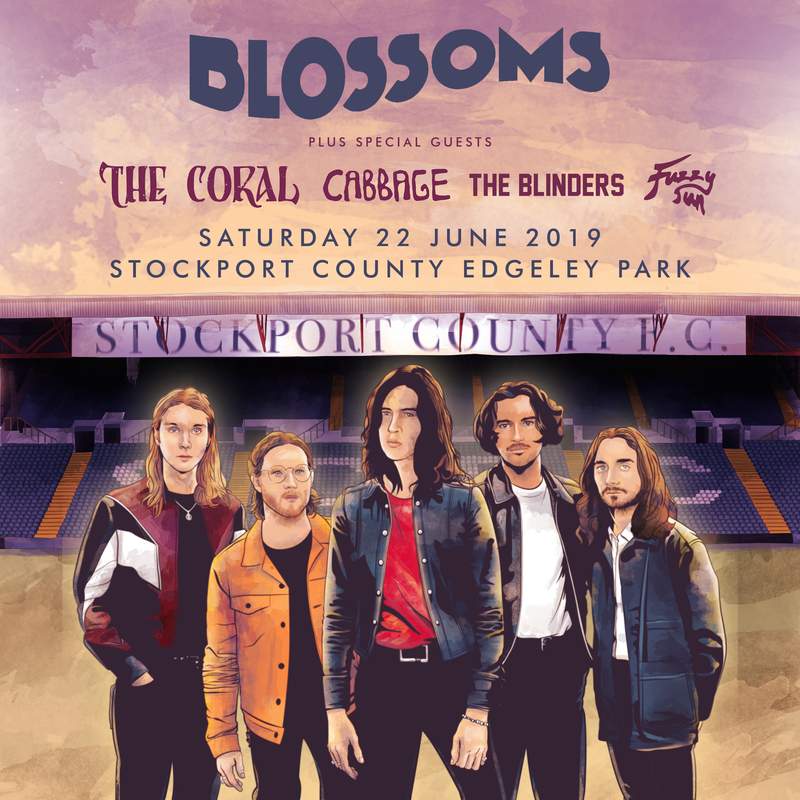 The I Can't Stand It outfit will play Edgeley Park Stadium next June with special guests including The Coral and Cabbage. The Charlemagne five-piece have confirmed the massive homecoming show and their biggest headline gig to-date will take place on Saturday 22 June at the football team's Edgeley Park Stadium. The band said of the announcement: "Having already played Wembley, the Etihad Stadium & Old Trafford, we’re now particularly pleased to be headlining at the football ground closest to our hearts … and our houses … Stockport County Edgeley Park." Speaking to Radio X's George Godfrey about what the show means to them, frontman Tom Ogden said: "It's one of them growing up. It's the closest one to our home. We used to go there as kids." "We've got a special place for Stockport County," he added. "It's the biggest thing we've done as a band. After teasing that they'd be on the festival circuit and have been demoing new songs, asked if they'd be playing their new material live by the summer, the I Can't Stand It singer replied: "I'd like to think so, yeah." Tickets for Blossoms' Edgeley Park gig will go on sale on Friday 19 October from 9am.